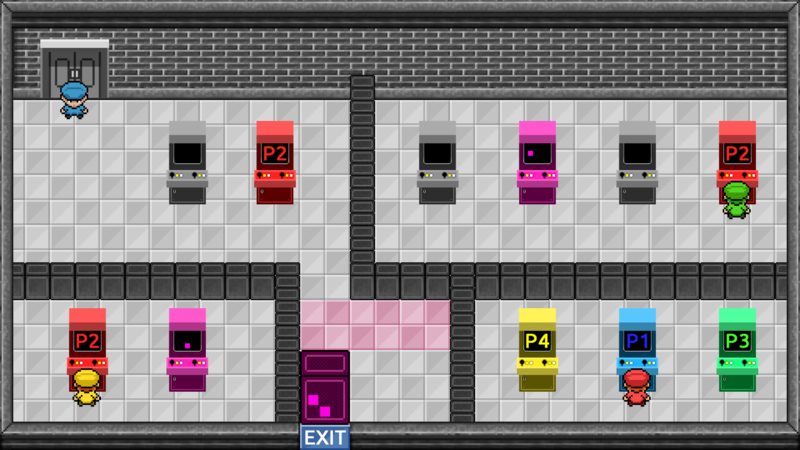 The game takes place in an arcade room, but instead of playing games, the players play each others ! I am impressed with the level of puzzle you were able to obtain. That's tough to do in a short time. Really liked the mechanics, it reminded me of the old, sliding car puzzles, but modern and fresh! I had a great time playing this! I'll post the highlight from the stream on twitch soon. I thought the puzzles were great, I hope you continue to add more after the JAM ends, near the end of the game I was finally getting into a nice difficulty where the challenges were having me plan and thing out what to do. I also like the meta application of playing the players playing the players. Well done. 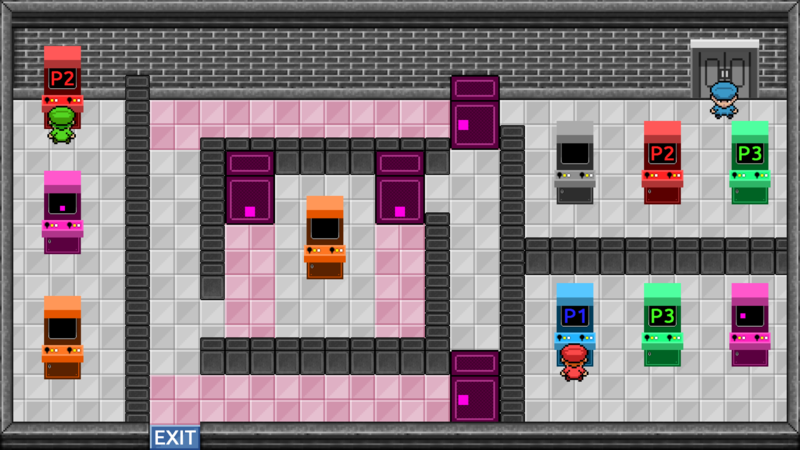 Puzzles were very well designed, excellent pixel art, and the music was sweet. Well done! Very nice puzzle! Well presented, with a cool mechanic and a great level-design. I enjoyed it. One of the best in this jam so far. Very good idea ! I wish you could do so more levels too so that I can play more. :D One of the best entry so far for me.